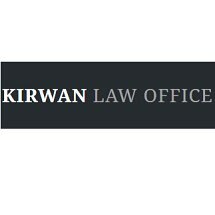 At Kirwan Law Office, in Oswego, New York, attorney Timothy J. Kirwan delivers high-quality representation to individuals and represents clients in criminal and family law matters throughout Oswego County. His criminal law practice includes all felony and misdemeanor charges, DWIs, drug offenses and traffic violations. The family law practice focuses primarily on divorce, custody, child support, visitation, adoption and modifications to court orders. With almost 20 years of experience, lawyer Timothy J. Kirwan has built a practice based on knowledge, skills and results. He aims to clarify and simplify the legal processes involved in clients’ legal matters, with a strong emphasis on communication and responsiveness. He works hard to develop effective attorney-client relationships. He strives to deliver the prompt, one-on-one attention clients want and deserve while vigorously and diligently pursuing the most favorable outcomes attainable in each case. Contact lawyer Timothy J. Kirwan to discuss your criminal law or family law concern. The law firm welcomes requests for initial consultations with no further obligation and accepts all major credit cards.